Listen in on a story about the beautiful mountains of Tajikistan, and you’ll almost certainly hear a tale of an epic road trip through the harsh but beautiful plateaus of the Pamir’s. Spend any time in the country, though, and you may find yourself equally drawn to the far less visited mountain ranges on the border with Uzbekistan. Fan Mountains vista from the top of the Alaudin Pass. 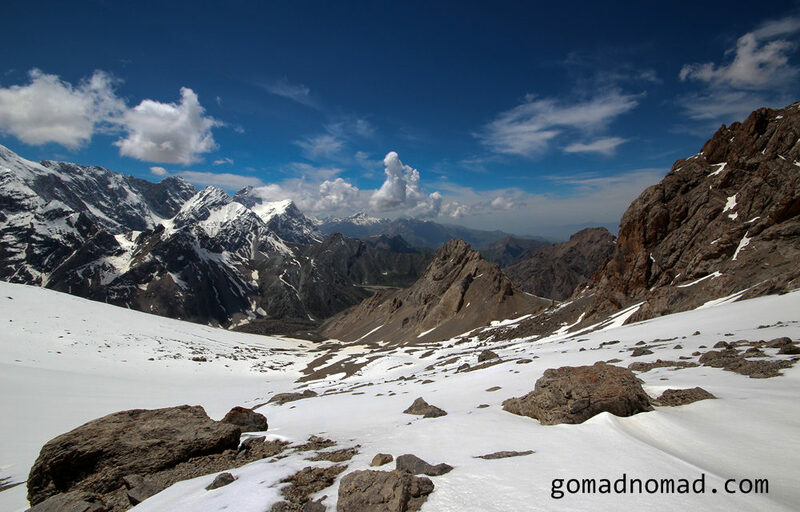 The Fan Mountains, a range of snowy peaks and lush green valleys, are a trekkers’ utopia hidden between Khojand and Dushanbe in the northwest of the country. While Iskander Lake is an easy weekend trip from the capital, trekking routes through the mountains have the potential to keep serious hikers occupied for weeks or longer. 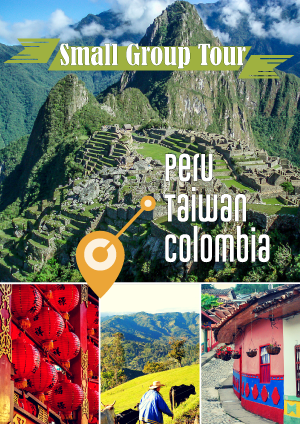 With a well-developed homestay program, even the logistics are relatively easy to arrange. Visitors to the Fan Mountains tend to focus on three main areas, where the Zeravshan Tourist Development Association has the greatest concentration of homestays and guides. Several major trekking routes start from the Kulaikalon area, while easier (but no less beautiful) dayhikes run from villages along the Seven Lakes. 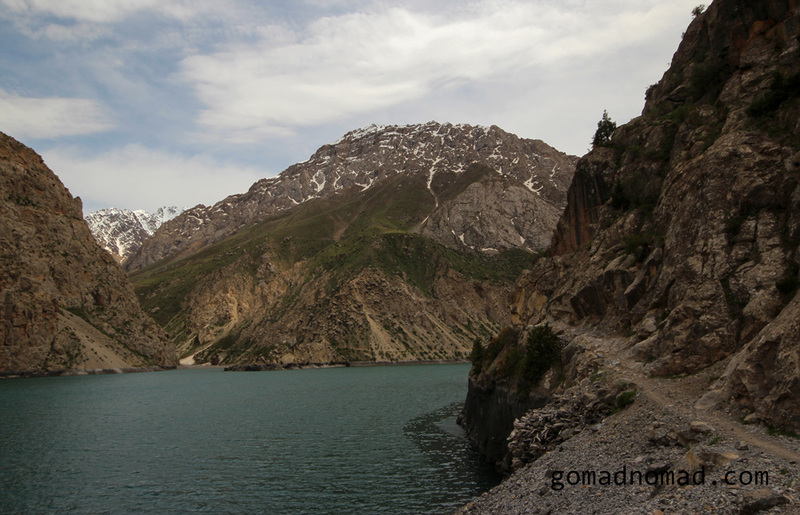 Of anywhere in the Fan Mountains, the most popular with tourists (and not coincidentally also the most accessible destination) is the lake of Iskander-Kol. A local family strolls through the ruins of Old Penjikent, with the Fan Mountains towering in the background. The largest city of the Fans, Penjikent is the default base for excursions in the region. Home to the largest market and only foreign-bank ATMs, this is also the starting point of most busses heading deep into the mountain valleys. However, two important archeological sites in or near Penjikent mean that time spent here is not just planning and packing. The ruins of Old Penjikent stand on a hilltop overlooking the modern town and the Zeravshan River beyond. 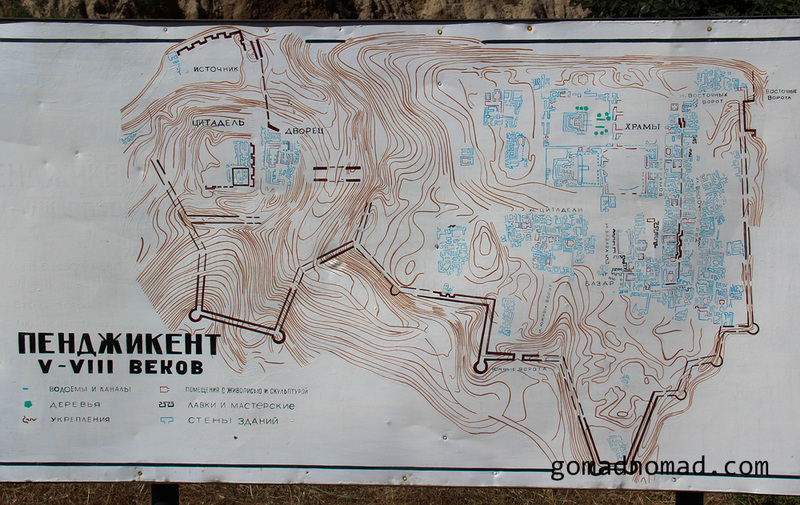 Though very little explanation is provided, a Russian-language map at the main entrance to the site does give a layout of how the ancient town was arranged over 2500 years ago. Further from town, the ancient city of Sarazm predates even old Penjikent. One of the oldest settlements in Central Asia, artifacts recovered from the site date to as far back as the 4th millennium BCE. Like Old Penjikent, little interpretation is provided on-site. An attached museum with a small admission fee can provide a bit more background. 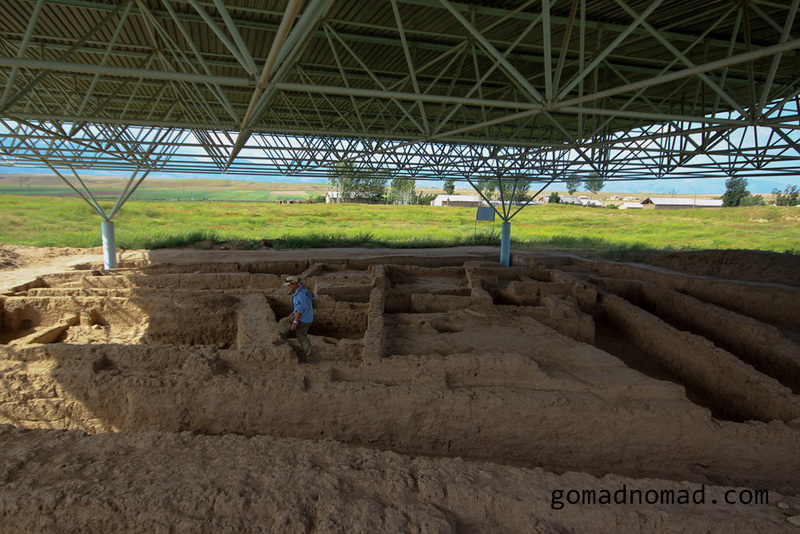 As the site of one of the oldest civilizations in Central Asia, though, the excavations provide an interesting contrast to the modern village of Sarazm that surrounds the enclosure. Metal canopies cover the UNESCO excavations at Sarazm. Once the historic sites of Penjikent have lost their novelty, gear up for the mountains outside of town. The Zeravshan Tourist office can rent basic gear like tents and sleeping bags, while the bazaar on the east side of town has a wide selection of canned food, dried fruits, and sausage. For serious hiking, Kulaikalon is a great area to focus on. 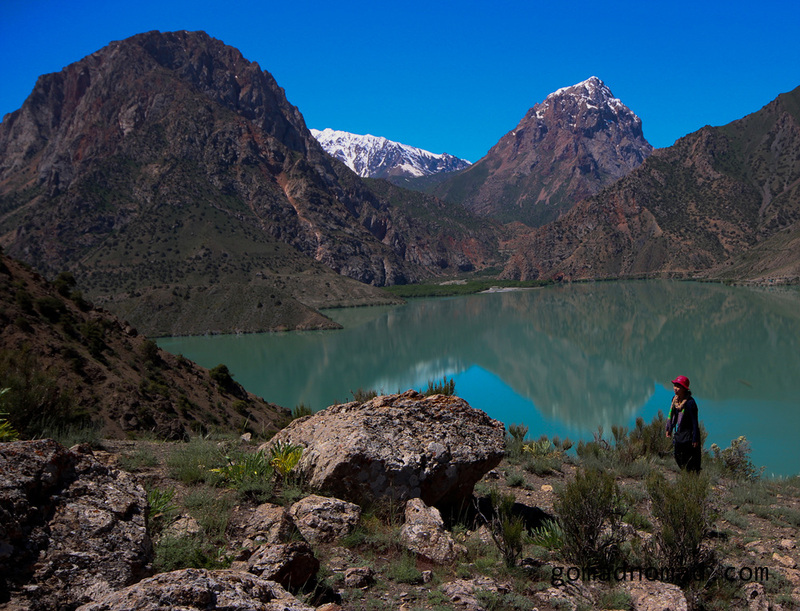 Above the village of Artush, a large mountain bowl of blue lakes and stunted trees gives way to passes that lead on to hiking routes all through the Fan Mountains. 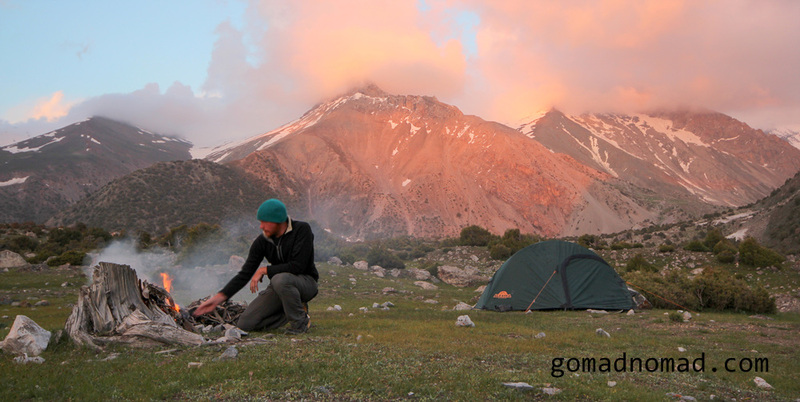 From a base camp at Kulaikalon, one could climb Chimtarga (tallest peak of the Fans at just over 18,000 feet) or hike as far as Iskander Kol several days and several passes away. To get there, take a share-taxi from Penjikent to Artush and hike or hitch up to the mountain hut (known locally as alplager) just below the climb to the Kulaikalon bowl. Beyond the alplager there are no permanent settlements, so be sure to take all the gear and food you need to be self-sufficient. Camping in the Kulaikalon bowl in the heart of the Fan Mountains. If you’re looking less for full-on trekking and prefer a casual hike from guesthouse to guesthouse, the Seven Lakes are a better region to explore. Hiking from lake to lake through the narrow valley, the village of Marguzor at the 6th lake in the chain is a launching point for easy day hikes or even multi-day trip over mountain passes to the Kulikalon Bowl. From lower villages, short trips up side-canyons off the main valley offer more options for exploration. Foreign tourists occasionally frequent the area, as well, so even in villages without official ZTDA homestays it may be possible to find a home willing to let you have a bed for the night. Above Marguzor village, the last of the Seven Lakes sits placidly in the shadow of towering mountains that close in the valley. The lakefront holiday resort at Iskander Kol is one of the Fan’s most popular destinations, both for natural beauty and ease of access. Only 125 kilometers away from Dushanbe, the quiet cottages feel far removed from life in the cities of Tajikistan (at least, outside of the lake’s summer high-season). Easy hiking trails into the hills above the lake or further on to a large waterfall offer a choice of activity and exploration, while a pebble-strewn waterfront dotted with covered pavilions make the lake a center for relaxation as well. Penjikent is about 13 miles from the border of Uzbekistan, and only 30 from the city of Samarkand. Unfortunately the border here between Tajikistan and Uzbekistan has been closed since 2010 and sources say it does not seem likely to re-open soon. 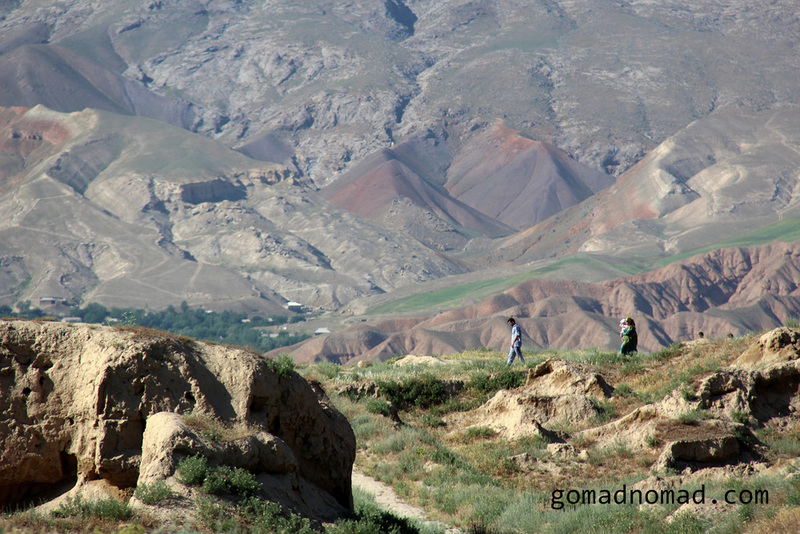 Instead, the most reliable access to Penjikent and the Fan Mountains is via the drive from Khojand or Dushanbe. Either route offers spectacular mountain views on occasionally frightening roads, and also quite lengthy trips. From either starting point, expect 7-10 hours of driving depending on the quality of car and state of the roads as you travel. From Khojand’s “Pakhtakor kvartal” taxi station or Dushanbe’s “Vodonasos” station, expect to pay around 110 Tajik Somoni ($23 US) for a seat in a share-taxi (more in winter, as conditions deteriorate). Tajiksitan Air reportedly offers flights in winter from Dushanbe to Penjikent. Without regular schedules, though, this may be hard to plan for. Locals report that the flights begin operation in winter, as snow mountain passes make road routes more difficult. One-way prices reportedly range between $45 and $60. From the holiday resort at Iskander Kol, trails lead to a waterfall in the hills or up above the lake for great mountain views. For a shorter trip en route between Khojand and Dushanbe, the settlement of Sarvoda is the turn-off for Iskander Kul. Though few shared taxis make the trip to the lakefront resort, it should be possible to hire a car in Sarvod for the remaining distance to the lake. 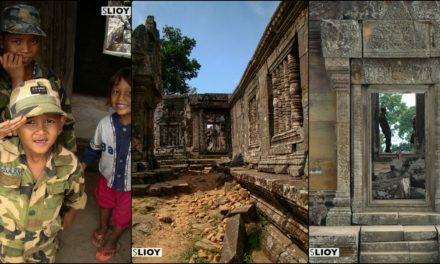 All photos by Stephen Lioy. In that case, thanks for the love! 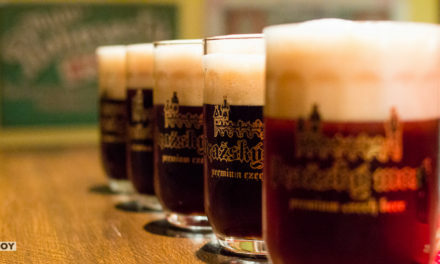 Nice to see a travel blog give more attention to Central Asia. I saw you lived in Uzbekistan, that probably has a lot to do with it. Wow! From you photos, they seem to go on forever! Not forever, but on a good day of hiking it sometimes seems like that! Sure did enjoy this article. Made me feel like I knew where you have been since you left here. Great article! I’m heading to Tajikistan and the Fann mountains in late september/early october myself. I’m really debating whether to join a (super expensive) tour or just carry my own gear and hike alone. Do you think it would be safe for a solo female traveller to do so? Awesome photos of Fann Mountains Range. You always kill with your photos as you did for us on Ak Tor Pass.